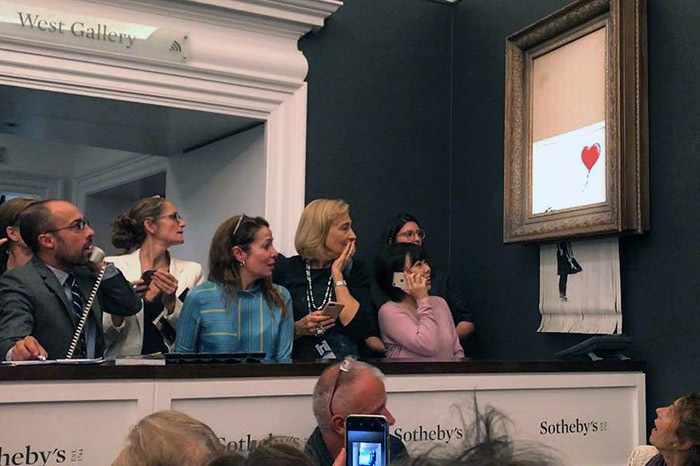 Banksy’s recent remote control self-shredding painting prank at Sotheby’s on Friday, October 5, 2018 inspired some reminiscing about art pranks that preceded him. MutualArt writes about Skaggs’ 1968 Hippie Bus Tour to Queens, and ABS-ANC has some fun remembering Skaggs’ long running April Fools’ Day Parade. On a different subject, Dr. Joe Schwarcz, director of McGill University’s Office for Science & Society and the host of The Dr. Joe Show on CJAD Radio fondly remembered Skaggs’ Metamorphosis: The Miracle Roach Hormone Cure hoax from 1981.